You all my know that BB cream was originally found in Germany, but we have to admit Korean Make Up brands are the ones that have really popularized it, at least in my opinion. I've tried BB cream once, years ago, and I didn't really like it and for a while I skipped using BB cream from any brand and stick to my foundation. However several weeks ago I attended a blogger gathering hosted by IASO where the BA explained their BB cream product in a way that successfully convinced me to try out their Triple Protection BB Cream. The product was part of their goodiebag anyway, so there's no reason for me not to try it. 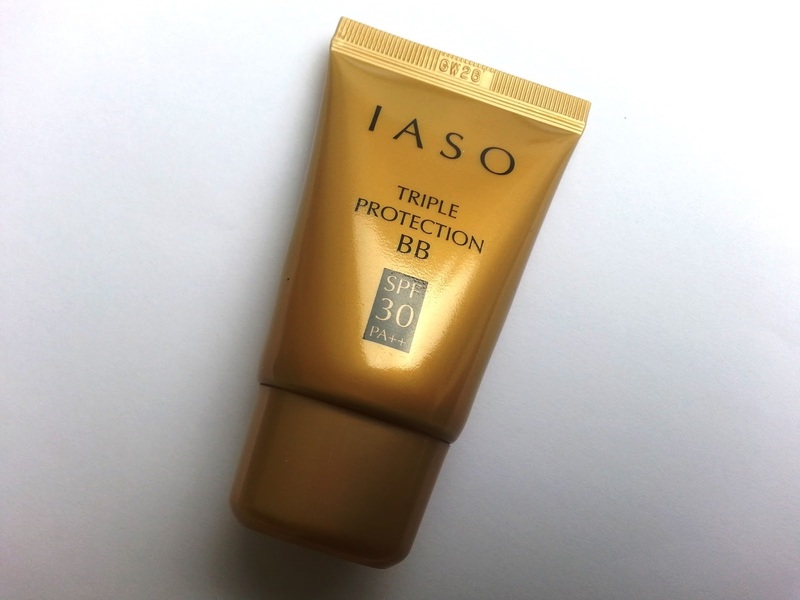 IASO Triple Protection BB - SPF3- PA++ ( quite a mouthful name) is a BB Cream for all skin types with 3 benefits: anti-wrinkle, whitening, and skin protection. It claims to give a polish finish and provide protection from UVA/UVB rays. It is enriched with with Adenoisne and Arbutin which has been proven to work effectively to reduce lines and wrinkles, dull skin caring and making it radiant and rejuvenated. At the event, the BA explained that IASO BB Cream will blend with our skin tone once it's applied. So no matter what your skin color is, this BB cream will match yours (quote from the BA). Then I got home with a high hope and the next day I tried IASO BB cream. The result, basically, the color was a tad bit too white for my skin. Especially after I applied it. It gives me the grey-ish effect, as you can see the picture bellow. 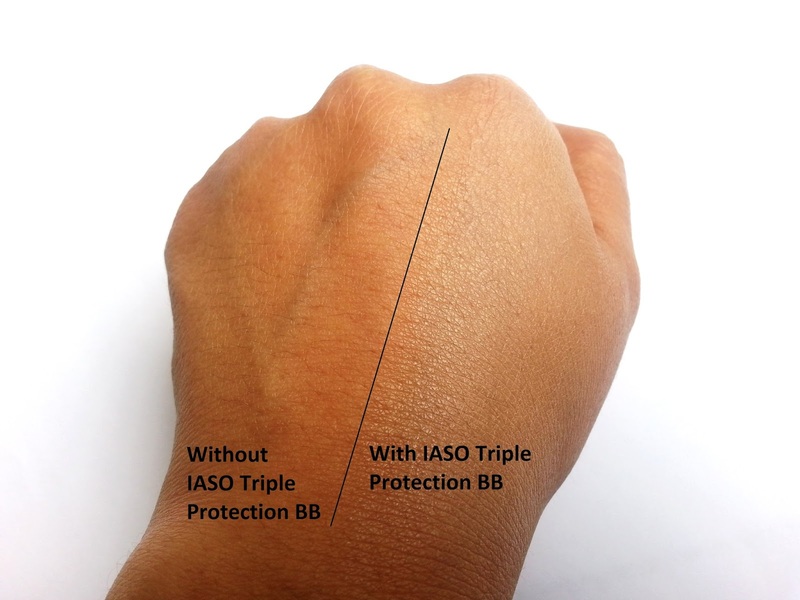 Unfortunately, IASO Triple BB Cream only comes in one shade, so I cant find any color that match with my skin. 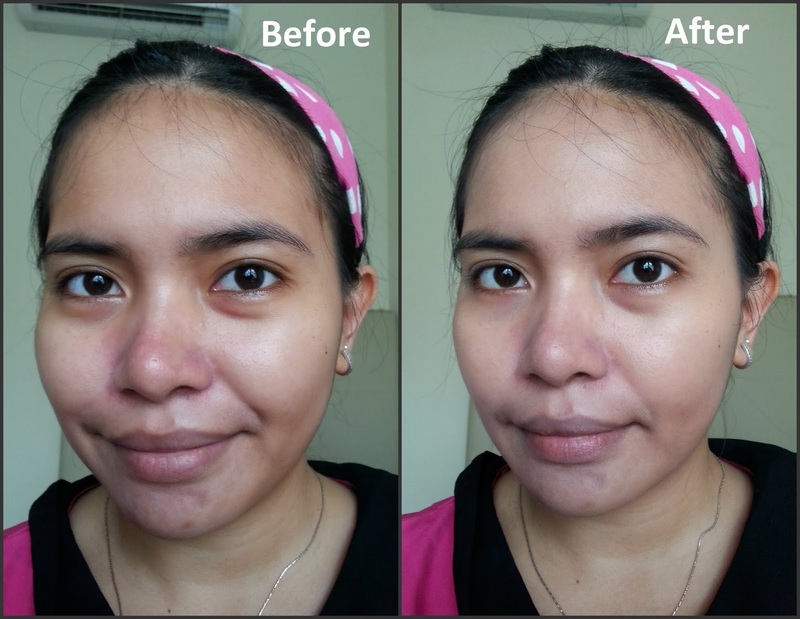 However, after several hours, i can see that the product was actually blending with my skin tone, but it took at least an hour or two, and maybe this is what the BA meant at the gathering. Just like any other BB cream from Korea, this BB cream also gives glowing effect. Another thing that is not my favorite. When it comes to base make up, I always prefer a matte finish rather than glowy finish. This BB cream has athicker texture than other BB cream that I've tried before but it blends easily. It gives sheer to medium coverage. As you can see, this foundation doesn't really cover the hyperpigmentation on my chin, but does a good job to even out my skintone. It also feels light on my skin despite of its thicker consistency. When it comes to longevity. I would say this BB cream could last 5-6 hours max inside an air-conditioner room. After I freshly applied, my skin looked matte and flawless. At mid day, it still looked okay but didn't look as matte as before. And at the end of the day, around 4.30 pm, my face looked blah. My hyperpigmentation on my chin was very visible and my face looked a bit shiny despite of my effort to bloth my face with tissue before taken the pic. With that being said, I think this BB cream is more suitable for daily used rather than for occasion where you have to wear your make up all day long such as photo shoot or dance party. Beside the downfall with this BB cream which is a wee bit too white and not too long wearing. I love the fact that it really protect my skin from the UVA/UVB rays. I know if if i use my regular foundation i wont get the same protection as the IASO BB Cream. 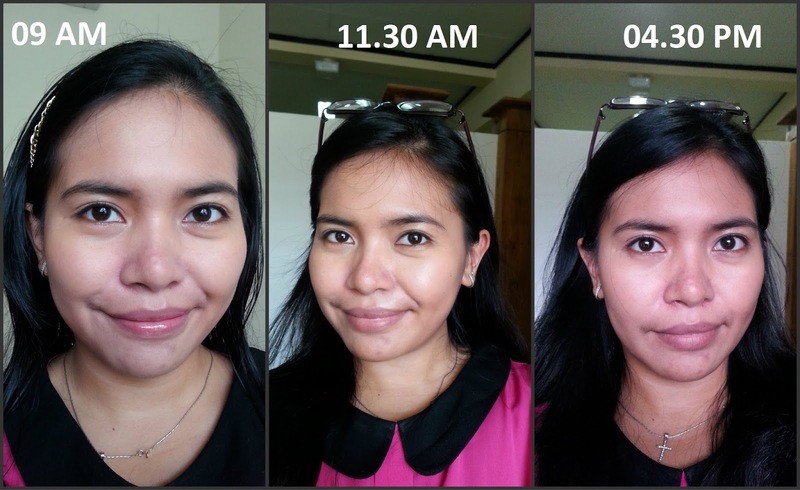 I am not sure if the formula really gives anti-wrinkles effect, but as you can see my face looks flawless at the first few hours. Overall I think this IASO BB Cream is alright. I am not crazy about it, but I would definitely reach for it every now and then just because it's perfect for everyday use. If you have dry skin and lighter skin tone than I do, I think you are going to love this BB cream because the finish looks is reaally natural and feels light weight on the skin.